The Western Conference Quarterfinals match-up between the St. Louis Blues and Chicago Blackhawks was everything it was supposed to be: electric, thrilling, intense and dramatic. The narrative played out accordingly, as two of the NHL’s top five teams went head to head in an epic seven-game battle. Only one team could survive the tilt. Would it be the reigning champs in pursuit of a fourth Cup in seven years or the regular-season powerhouse desperate to stay alive after three consecutive first-round exits? 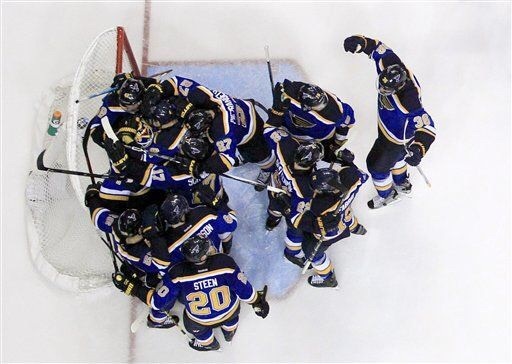 In the end, it was time for some fresh blood in the hunt, as the St. Louis Blues came out on top of the rollercoaster game seven contest by a final score of 3-2. This was the Blues’ first game seven victory since defeating the Arizona Coyotes in the first round of the 1999 Stanley Cup playoffs. But throughout the series, the margin between postseason life and death seemed slimmer than ever. In fact, six of the seven games in the series were decided by one goal. Also, 91.3 percent of total playing time in the series saw the score tied or within one goal. It was certainly on-the-edge-of-your-seat hockey, with both sides refusing to give in. Many fans gave the edge to Chicago because of the team’s three Cups in six years. The Blackhawks were more seasoned in fighting through difficult match-ups, and they had repeatedly found ways to win regardless of the circumstances. But the Blues had a newfound confidence going into the series, which was only intensified when David Backes scored the game-winning overtime goal in Game 1. The Blues went on to take a 3-1 series lead, but the Blackhawks tied the series at 3-3 and forced Game 7. The Blues jumped out to an early 2-0 lead in the first period of Game 7, but the Hawks calmly tied the game at 2-2. However, there was no panic on the St. Louis bench. The Blues forced Chicago netminder Corey Crawford to make spectacular save after spectacular save to keep his team in the fight, and the Blues just kept pushing. Eventually, at 8:31 of the third period, Troy Brouwer’s first goal of the postseason would be the game-winning and series-clinching goal, sending St. Louis into the second round and sending Chicago home for the summer. 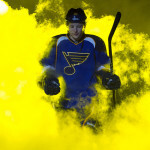 Brouwer was certainly an ironic hero for the Blues. 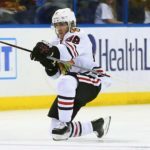 Not only was he part of Chicago’s Cup-winning team in 2010, he was acquired in a trade from Washington in the offseason to add more veteran presence in the lineup, especially for the playoffs. After a poor turnover in the neutral zone by Blackhawks defenseman Erik Gustafsson, Brouwer redirected a pass from Robby Fabbri, sending the puck right into the post. Brouwer missed on a second try in the crease before backhanding a shot that beat Crawford. Ater all is said and done, the reality of the situation is that the Stanley Cup will have a new address for the first time in a long time. The Cup has traveled back and forth between Chicago and Los Angeles in five of the past six seasons, but both teams have been eliminated. This makes what the Blues accomplished that much more impressive. The Blues will face the Western Conference’s top team, the Dallas Stars, in the second round. 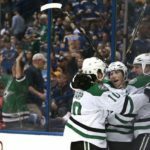 The Stars scored and gave up a lot of goals in their first-round series against Minnesota, so the Stars-Blues series could be another high-scoring frenzy. The Stars have a lot of talent up front, especially if Tyler Seguin is cleared to play. But the Blues deserve full marks for the punishing-yet-skillful brand of hockey they used to defeat the Blackhawks. Despite the power of Dallas’ offense, Chicago is widely considered the most difficult team to play in the second season, so St. Louis should be more than prepared for this match-up. It’s clear that the St. Louis Blues are a different hockey club than in years past. Their young core has grown up and taken charge, the goaltending is consistent and the team’s stars step up and produce in the spotlight. 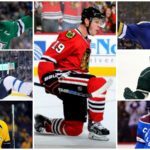 The team has also come a long way from being labeled as a perennial first-round choke to eliminating the most threatening playoff team and becoming a popular bandwagon choice for this year’s winner of the Stanley Cup. While many fans have suggested that the winner of the Blues-Blackhawks series should and will get the Cup, it’s important for everyone to remember that the Blues have only won four games, and that this was only round one. 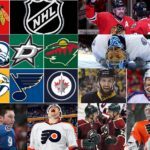 One of the things that makes the Stanley Cup the hardest trophy to win in professional sports is that you must win 16 games and compete in up to 28 grueling battles. The Blues will not only have to maintain the team’s confidence and balanced play but will also have to make sure to preserve enough strength, energy and heart to win 12 more times.